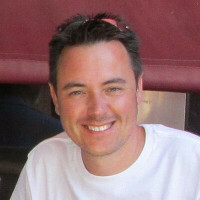 Following on from my post blog post regarding TV advertising. As you may have guessed, I really don't like being advertised at. Yes thats right, AT. Now it's time to turn attention to internet advertising. This is perhaps even more annoying than TV advertising. Mention banners, pop-ups, overlays, etc, and we all know what they are and we all know that we really don't like them that much (is loathe too stronger word here?). Luckily help is at hand in the shape of Adblock Plus (ABP). 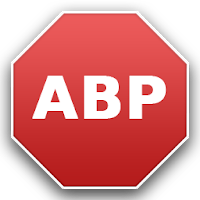 ABP is a free Firefox add-on that will block pretty much all web advertising. For those adverts that do scrape through, you can right click them and instantly block those too. OK, I admit it, I must be the last person on earth to find out about this excellent Firefox add-on. That's all you need to an advert free internet! ABP by itself blocks nothing on its own! ... only 'Subscriptions' or filters do. Adblock Plus is a fabulous piece of work created and maintained by Wladimir Palant ... but it comes as an empty, non-blocking program that is awaiting instructions on what to do. It will not block anything at all if it is not given any instructions. When ABP is installed for the first time, it will ask you if you want to 'subscribe' to a known maintained list of 3rd-party filters. If you select one or have installed one, this now becomes the responsibility of the subscription author and not the ABP author. OK, so ABP is the 'framework' and the subscriptions / filters are the lists of files or adverts to block. Now it's installed, lets take this baby out for a spin. Follows are some before and after screenshots. Obviously these won't catch the annoyance of those flash based adverts that ..er.. flash away when you're trying to read something, but I think you'll get my drift when you look at the screenshots. Sky News. "I see the news - at last!" Also what's not obvious from the screenshots is that because my browser isn't going off to who-only-knows-whichever advertising servers to grab the adverts from, the loading of the pages is significantly faster. Ad Block Plus was published on September 22, 2009 .